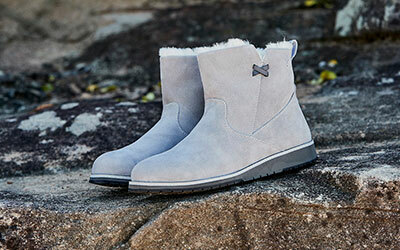 We have a great range of sheepskin and leather shoes and boots for big kids at EMU Australia. 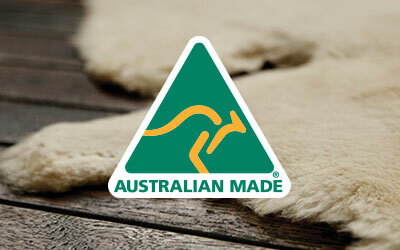 Choose from boots, slippers, sneakers, and pumps, all made with our 100% real Australian sheepskin and leather. Our shoes for older children are easy to slip on and off, and lots of our styles have velcro fastenings for extra ease and speed - perfect for big kids. The sheepskin we use is water resistant, so they’re great for the adventures older children get up to. Opt for classic colours like brown, tan and black, or maybe a pop of colour with pinks, blues and greens. No matter which style of shoe or boot you choose for the big kid in your life, we guarantee they’ll only be wearing the best quality materials on their precious, growing feet. We all know big kids like to go on adventures, so our 100% real Australian sheepskin and leather shoes and boots are ideal, as all materials we use are really tough, durable and long lasting. We also use Australian Merino wool in the production of many of our shoe and boot linings, which is super cosy, warm and comfortable, as well as adding a touch of luxury. The gum rubber roles on our boots and shoes for big kids are hard but flexible, and have a wave design for added traction and grip, so they can keep up with the high energy running around kids often do. Our double stitching also adds an added element of durability. Many of our shoes and boots for older children are also Woolmark accredited. Our classic 100% real Australian sheepskin boots also come in smaller sizes for children big and small, keeping all the best features and making them mini. Our sheepskin is very breathable so they’re great for keeping little feet warm and cosy in the winter, protecting them from the frost and cold, but the material also wicks away moisture meaning they also keep feet cool on those summer days. They’re also water resistant, so can be worn in winter rain or summer showers, or just generally ideal for messy kids on adventures. We have so many options to choose from when it comes to shoes and boots for big kids at EMU Australia. We have trendy styles for older children with perforated suede, and styles with a bit of glitter and sparkle details for that touch of bling to keep the kids happy. We also have some super cute styles with animal faces on, such as the lamb, shark or bear. Or keep it natural and boho with a boot with pretty tassels on. And it’s not just shoes and boots for outdoors we stock for big kids, as we also offer our cosy and warm slippers for inside your home in children’s sizes too.